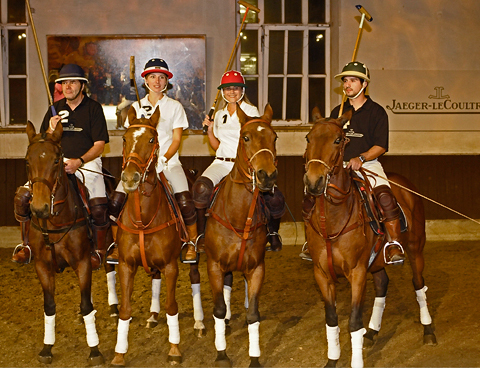 Argentinian polo pros meet VIP beauties: Initially developed for the sport of polo, the Jaeger-LeCoultre “Reverso” returns to its roots in 2008. At the Munich University Riding School, over 300 celebrity guests experienced the fine art of watchmaking in combination with daring polo sport manoeuvres. While the guests tried on the elegant ladies’ watch for size, they discovered a little about its history, accompanied by delicious drinks and snacks: the Reverso function was originally designed to protect the watch from damage caused during dangerous polo matches. Services: Overall concept, location and complete realisation.